A Carta Field Guide The Bedouin shepherds, who climbed into the Qumran cave with an oil lamp, found ten cylindrical jars, closed with clay lids. Eight jars were empty and one was filled with what seemed to be the remains of fruit. In the tenth jar three scrolls were discovered. 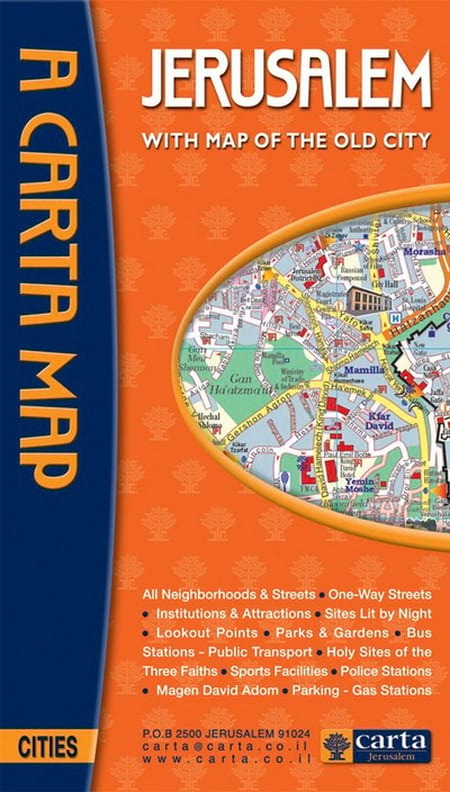 Modern, user-friendly and up-to-date, Carta’s Jerusalem Street Atlas is part of Carta’s long established atlas series.